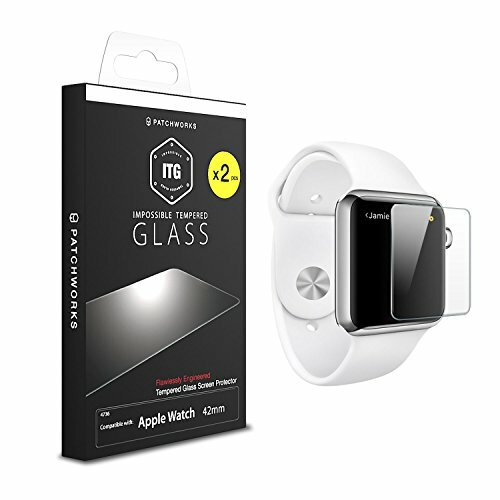 Patchworks ITG PLUS Essential tempered glass screen protectors are made with high quality "Made in Japan" soda-lime glasses. It has 9H surface hardness which will prevent scratches and oil resistant coating. Industry's highest 93.7% transparency rate(Lab tested). Clarity is your biggest advantage using ITG series screen protectors. No other screen protectors will give you True Retina display experience while protecting the surface from all of the life's reasonable dangers. Enjoy vividness of your screen with ITG PLUS Tempered Glass. Extra polished beveled edge design provides stronger impact protection. Also enhancing the experience of super smooth swiping across the display. Guaranteed 9H Surface hardness(Lab tested). ITG's hardness is 3 times higher than regular PET screen protectors. It is almost impossible to make scratches on the surface, even using sharp objects such as knives. ITG PLUS' new improved Oil-repel coating is now more strong against oil and fingerprints. Even if they gets onto ITG, it's super easy to wipe out any oil or fingerprints from the surface. ITG Tempered Glass does not affect touch screen's sensitivity. Bubble free silicon adhesives. Simple bubble free application. Anti-shatter film will disperse into tiny non-sharp pieces for extra safety. Please check below installation video. If you have any questions about this product by PATCHWORKS, contact us by completing and submitting the form below. If you are looking for a specif part number, please include it with your message.